Ambassador Shannon also served as Director of Inter-American Affairs at the National Security Council from 1999 to 2000, as Political Counselor at the U.S. Embassy in Caracas, Venezuela, from 1996 to 1999, and as Regional Labor Attache at the U.S. Consulate General in Johannesburg, South Africa, from 1992 to 1996. Roberta S. Jacobson assumed her post as Ambassador to Mexico in 2016. She previously served as the Assistant Secretary of State for Western Hemisphere Affairs from March 30, 2012, to May 5, 2016. Jacobson entered the State Department as a Presidential Management Intern and was assigned to the National Security Council for a time in 1988. She then began her long career with the Bureau for Western Hemisphere Affairs, first as special assistant from 1989 to 1992, and then as executive assistant from 1993 to 1994. 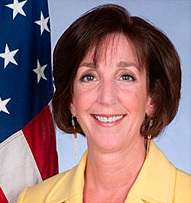 Jacobson served as the Bureau’s Coordinator for Cuban Affairs from 1994 to 1996, and from 1996 to 2000, she was Director of the Bureau’s Office of Policy Planning and Coordination, covering issues such as civil-military relations, human rights, foreign assistance, presidential travel, and counter-narcotics. Jacobson’s first overseas posting came in 2000, when she was named Deputy Chief of Mission at the U.S. Embassy in Lima, Peru, where she served until December 2002, during the fall of the Alberto Fujimori regime and the creation of the truth and reconciliation commission. 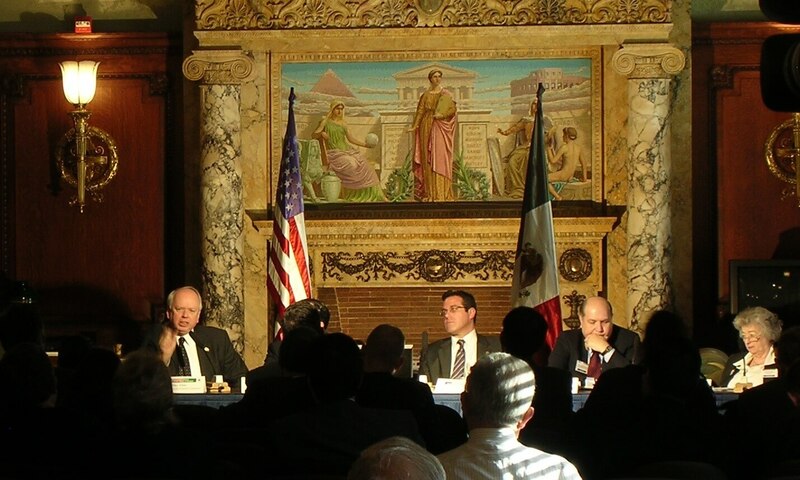 Returning stateside, Jacobson served as Director of the Office of Mexican Affairs from December 2002 to June 2007, and as Deputy Assistant Secretary for Canada, Mexico, and NAFTA issues from June 2007 until December 2010. 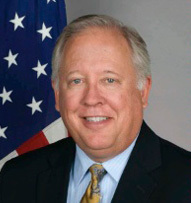 Jacobson had served as Principal Deputy Assistant Secretary since December 6, 2010, with responsibility for regional political, security and economic issues. In addition, she was the senior coordinator for the State Department’s “Security Initiatives” in the Western Hemisphere (Merida Initiative, Central America Regional Security Initiative, Caribbean Basin Security Initiative, and Colombia Strategic Development Initiative). Jacobson is the author of a chapter on the United Nations’ Committee on the Elimination of Discrimination Against Women in The United Nations and Human Rights: A Critical Appraisal (Oxford University Press, 1992) and an article titled “Liberation Theology as a Revolutionary Ideology in Latin America” (Fletcher Forum, Summer 1986), among other writings. Amb. Jacobson earned an BA from Brown University, and MA in International Relations from the Fletcher School of Law and Diplomacy at Tufts University in 1986. Enrique de la Madrid Cordero was appointed as the Secretary of Tourism in August 2015. Secretary De la Madrid has a long career in public service. He was appointed General Technical Coordinator of the Presidency of the National Bank and Securities Commission (CNBV) from 1994-1996, and also served in the Federal Congress from 2000 to 2003. 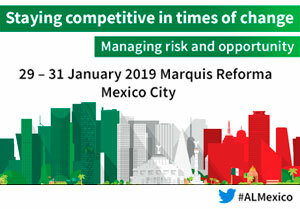 In the business sector, De la Madrid was Executive President of the Mexican Council for the Consumer Industry (ConMéxico) and served as Director of the Institutional Relations and Corporate Communications office for Mexico and Latin America at the HSBC bank. He published a book, entitled “México en la generación del desarrollo” (“Mexico in the generation of development”). It was published by Random House. In the book, De la Madrid analyzes Mexico’s achievements and its comparative advantages and proposes that the nation can achieve full development this generation. He has also been a columnist at Reforma and Milenio newspapers, as well as for other publications owned by the Organización Editorial Mexicana. He is currently a columnist with El Universal and takes part as a commentator in Leonardo Curzio’s program “Primera Emisión de Enfoque”. 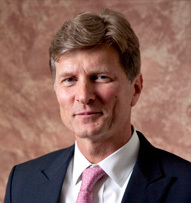 He obtained his degree in law from the National University of Mexico and holds an MA in public administration from the John F. Kennedy School of Government at the University of Harvard. Cross networks, throughout the world. It was founded by Clara Barton and a circle of her acquaintances in Washington, D.C. on May 21, 1881. Barton first heard of the Swiss-inspired global Red Cross network while visiting Europe following the Civil War. Returning home, she campaigned for an American Red Cross and for ratification of the Geneva Convention protecting the war-injured, which the United States ratified in 1882. 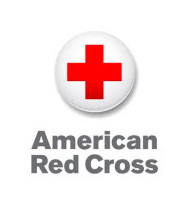 The Red Cross received the first congressional charter in 1900 and a second in 1905. The most recent version of the charter, which was adopted in May 2007, restates the traditional purposes of the organization which include giving relief to and serving as a medium of communication between members of the American armed forces and their families and providing national and international disaster relief and mitigation. safety training, accident prevention, home care for the sick, and nutrition education. The Second World War called upon the Red Cross to provide extensive services once again to the U.S. military, Allies, and civilian war victims. Enrolled more than 104,000 nurses for military service, prepared 27 million packages for American and Allied prisoners of war, and shipped over 300,000 tons of supplies overseas. At the military’s request, the Red Cross also initiated a national blood program that collected 13.3 million pints of blood for use by the armed forces. After World War II, the Red Cross introduced the first nationwide civilian blood program that now supplies more than 40 percent of the blood and blood products in the US. During the 1990s, the Red Cross engineered a massive modernization of blood services operations to improve the safety of blood products, and continued to provide services to members of the armed forces and their families, including during the Korean, Vietnam, and Gulf wars. The Red Cross also expanded services into such fields as civil defense, CPR/AED training, HIV/AIDS education, and the provision of emotional care and support in the wake of disasters. 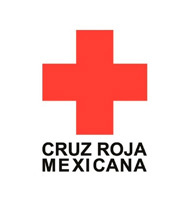 The Mexican Red Cross is a non-governmental humanitarian assistance organization affiliated with the International Federation of Red Cross and Red Crescent Societies to help those in dangerous situations, such as natural disasters, as well as providing human health services. The organization finances its aid, assistance, and education programs through the work of thousands of volunteers and donation from individuals, institutions, organizations, associations and companies. It riginated with a presidential decree in 1910 and was recognized internationally in 1912. Today it participates in national and international aid and disaster relief missions as well as various health services, training in first aid and for emergency medical technicians. Early in its history, it developed a program in nursing, which eventually became the Escuela Nacional de Enfermería y Obstetricia (National School of Nursing and Obstectrics), today part of the National Autonomous University of Mexico. The activities of the Mexican Red Cross can be divided into three different sections: volunteer and other worker processing, integration/participation, and assistance/development. The first is designed to generate and update the volunteer databases, integrate the records of the database, provide information regarding the registration process, and credential and update current partners. The integration and participation section consists of plans, projects, general activities of the National Society, specific operational and administrative activities of the areas, committees, commissions, internal or external activities exclusive to volunteer area, and programs derived from the requests of collaboration with similar organizations through institutional agreements. The last section is in charge of the volunteering management instruction, monitoring of the institutional awards system, and following the provisions of the National Ethics Committee. Over the years the Mexican Red Cross has participated in a number of high-profile efforts related to disasters and public health. In the 1980s, the organization provided organized relief for the waves of refugees from Guatemala in Chiapas and other parts of the south of Mexico. It has also participated in relief efforts after various hurricanes hit Mexico in various places. One major event for the organization was the aftermath of the 1985 Mexico City earthquake, and the 2017 earthquakes that affected several cities and towns in Mexico. One recent effort is the collaboration of the Mexican Red Cross with the National Crusade Against Hunger, sponsored by the Mexican federal government. Red Cross participation includes educational programs and the raising of resources. Educational programs include those for mothers caring for infants and those for hospital patients. This also includes workshops on urban gardens and those to teach children about healthy eating habits. The Red Cross mans collection centers for money and supplies and works to distribute these resources in 120 municipalities. Apart from solely providing aid to people in their nation, the Mexican Red Cross has helped victims of natural or social disasters in other countries. One of these is their participation in relief efforts after Hurricane Katrina and Harvey, sending food and other supplies. For many years, The Church of Jesus Christ of Latter-Day Saints has been actively involved in humanitarian relief and development activities throughout the world. These include emergency relief assistance in times of disaster and humanitarian programs that strengthen the self-reliance of individuals, families, and communities. Clean Water Access to clean water improves health and family hygiene. The World Health Organization estimates that 884 million people do not have access to clean water. The Church assists communities to establish wells and other drinking water systems to provide access to clean water. The Church also helps communities establish local water committees and provide hygiene training for families. The community donates labor and materials. Over 7.5 million people now have access to clean water because of Church efforts from 2002 through 2010. Maternal and Newborn Care Working with national health organizations and ministries of health from countries around the world, the Church has sent volunteer physicians and nurses to instruct birth attendants on neonatal resuscitation techniques, maternal care, and essential care for babies. With such training, attendants are able to help save the lives of babies who have breathing difficulties at birth and mothers with serious post-birth medical conditions. This training will also help attendants give proper care to babies, including maintaining a baby’s normal temperature, checking for danger signs, and other life-saving practices. Vision Care Over 300 million people worldwide live with low vision or blindness. By improving the quality of eye care treatment delivered by local health care organizations, blindness and visual impairment may be avoided. The Church provides training, equipment, and supplies to assist local eye care professionals and programs. Since 2003, over 550,000 people have benefited from Church vision projects throughout the world. Wheelchairs There are an estimated 20 million people in the world who need a wheelchair but do not have one. The Church wheelchair initiative strives to improve mobility, health, and educational and economic opportunities for people with physical disabilities. We help local organizations improve the services they provide to the physically disabled and provide a wheelchair or walking aid appropriate to the individual’s need and circumstances. With the help of volunteer trainers, the Church seeks to strengthen the capability of local organizations to assess individual needs, select and fit an appropriate wheelchair or other mobility device, train the individual and caregiver, and provide support for repair and maintenance. The mobility devices we provide include wheelchairs for rough terrain, hospital wheelchairs, crutches, walkers, and canes. Since 2002, over 415,000 people have received one of these devices. Food Production Many poor families in the world struggle with obtaining enough food for their needs. 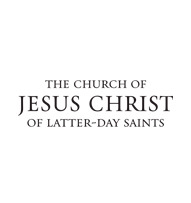 The Church provides training and tools for improved home food production, nutrition training, and food storage and preparation techniques to help families become more self-reliant. Since 2002, almost 40,000 people have been helped. Immunizations Every year, 1.7 million children die from vaccine-preventable diseases. The Church provides support to international immunization campaigns for measles, diarrhea, and pneumonia. Between 2003 and 2012, the Church supported campaigns that benefited over 100 million children and youth in 36 countries. Around 59,000 local volunteers donated over 750,000 hours to spread awareness of these campaigns. These efforts lead to regular, self-sustained immunization campaigns worldwide.